Masflex KitchenPro sponsored the 2nd Around the Philippines in Small Plates by Lifestyle Network which was held last November 22 at NBC Tent, the Fort. This event highlighted Filipino cuisine cooked by notable chefs in the industry. Chef Gene and Chef Gino Gonzalez represented Chefscapades, their program in Lifestyle Network. 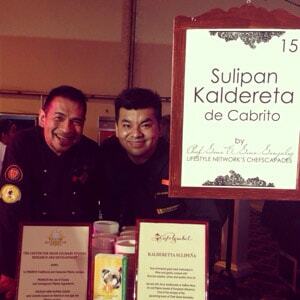 With the help of CACS team, they prepared Sulipan Kaldereta de Cabrito in their booth representing the region of Pampanga. “Thanks for all those who tried this dish and gave good reviews and of course, for those who supported this event. Congratulations to Lifestyle Network and for KitchenPro knives raffle winners. For me it was one giant yummy experience!! 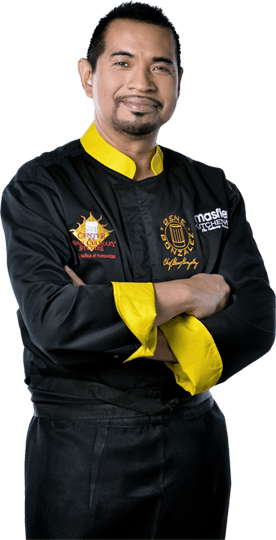 !”, Chef Gene stated. All proceeds of this event will go to benefit typhoon Yolanda’s victims.